HARRY's "Dough Ray Me" Contest Seeks Nominations July 31st - August 31st. Do you know someone extraordinary who's deserving of recognition and a special reward? Nominate him/her to appear on HARRY in New York City via Harry Connick Jr.'s "Dough Ray Me" contest! To celebrate the sophomore season of his hit daytime entertainment show, Harry Connick Jr. and his team are asking viewers to nominate special people in their lives who they consider extraordinary and deserving now through August 31st. Nominators must fill out the online entry form on HARRYtv.com, submitting a photo of the nominee and 60-second or less video message explaining why the nominee should be chosen to appear on the show. Connick Jr. visited Milwaukee last week and spoke about the "Dough Ray Me" Contest at the "Hanging with HARRY" Q & A session at the Wisconsin State Fair. One nominee among Milwaukee-area submissions will be chosen to win a trip to New York City to play during an appearance on HARRY on a season 2 episode. 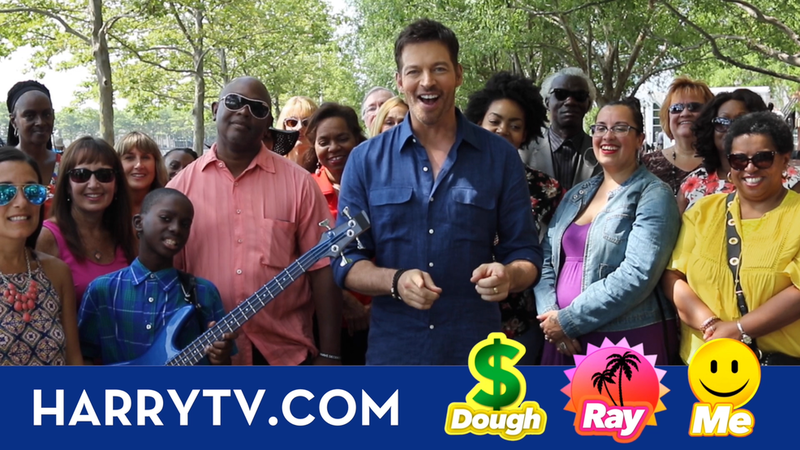 The “Dough Ray Me” contest, a signature segment from the show, gives audience members the chance to win “DOUGH,” which is money, “RAY” which is a tropical vacation or “ME” which is something indulgent for the winner. During his visit, Connick Jr. told fans that he cherishes being in a position that provides a platform to turn the spotlight onto good people who do great things in their communities. "Dough Ray Me" allows him that chance throughout the broadcast season. The contest is open to all fans in the country, but winners will also be specifically chosen from the markets he visited on his tour, including Milwaukee, Raleigh, Pittsburgh, Nashville, Portland, and Seattle. So, who do you know in and around the Brew City who deserves a trip and good fortune for his/her tireless efforts, positive influence, giving nature, etc.? Nominate them before September 1st and give them an experience they'll never forget! Join the party on HARRY, weeknights at 5 & 9pm on CW18 for the rest of the summer. Enjoy all-new episodes with season 2's premiere September 12th when it moves to My24 weekdays at 3pm!